Those dreaded red and blue lights flash behind you what do you do? The first thing to do is try and not to panic. Do not stop immediately in the middle of the roadway, but slow down and attempt to find a safe location to pull over to the right, but don’t drive forever. Do not try taking off in hopes of outrunning the patrol car you can not outrun their radio and the other officers that will come out of the woodwork. Once you stop remember to put the car into park. Be polite and try and pay attention. Know where your drivers license, proof of insurance and registration are so you can easily obtain them. The officer will be watching all of your actions and how well you can maneuver. Don’t have open alcoholic containers in the vehicle either. Be polite. Answer questions directed at you but don’t offer too much information. Know that almost every drunk driver gives the standard answer of “two” to how much they have drank. Is that two six packs, two pitchers, two double whiskey on the rocks? Don’t try and be smart or cocky. Your speech is another detection of intoxication. If asked to do a field sobriety test, know that you can decline certain tests or all of them. Officers need factors from each test to determine for court whether or not you are safe to operate a motor vehicle. Nationwide standards are being adopted by all agencies that have guidelines for each test that are accepted in court. If you do not perform these tests the states case is harder to prove, but also keep in mind many patrol cars have video footage of what is going on so some of the factors can be detected other ways. Definitely do not admit that you could not do the tests even if you were sober this says you know you are drunk. Do not become a street lawyer and start spouting off your rights. Law enforcement officers know all to well what they can and can not do. If the officer is crooked he/she will not care you think you know what your rights are. If the officer is above board he/she will know their limitations and protect your rights to protect the case. Know that your Miranda rights do not need to be read to you prior to an arrest. After the handcuffs go on anything that can incriminate you further can not be asked, but you still have to answer questions about you such as your address. Refusing to give information about yourself to the officer prolongs your stay behind bars. Do not try and bribe the officer. Once the decision has been made to arrest you is not the time to plead and beg for them to just let you go home, or drive you home, or call someone. Do not make statements that you knew you were too drunk to drive. Know that your ride to the jail is also being recorded. There is never a time to call the officer every name in the book or make threats. Keep your lips closed. 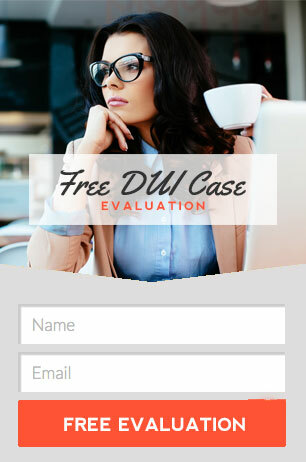 Depending on your state’s requirements, a test to determine the level of alcohol in your body will need to be done, which many do not realize they agreed to when they obtained their drivers license. Know the penalties for refusing this test and the penalties for taking this test. Lawyers vary in their opinion on whether or not you should refuse or agree. This is a personal choice, but convictions happen regardless of this decision. Do not tear up, destroy or throw away any documents you are given by the officer or the jail staff. These documents detail driving privileges and provide other valuable information about what is to come in the legal process. Wait until you are released, have slept and can think to read through these documents. This is also the time to determine whether or not you need a lawyer. The best advice is to not drive while intoxicated so you do not need to worry about any of this.